“No, you listen, we should not be here! It is an ill omen, this mist!” The man whispered, shouting almost. They walked, or more accurately, she walked. There was only room for one on the pale mount. Or at least, the man had decided that there was only room for one. “Inquire within, fool,” she mumbled. Crystal Jealousy didn’t mind the man’s attitude, not any more. They had not been on good terms for many weeks. She knew his nature very well by now, and so she simply led the giant, wrinkled bulldog along, with it’s passenger. She knew where they were going, thus it was appropriate that she led. It was also good that the man, Illinois, was on a mount. He would be less likely to leave if his sloth was so enticed. Weakness. “Crystal! Look!” He shouted, a shriek of fright. “Ah yes, very good.” Jealousy watched the mist. Crystal Jealousy had to pull her hair behind her ears. Usually, she let her crowen locks fall into her face, but there were times when vision was important. She pulled her, tangled eyelashes straight, then itched her upturned nose with shined and fair-skinned hand. Something about lashes so long that they clumped together when one blinked; Jealousy found it both frustrating and interesting. They were surrounded by knee-high, overgrown grass. Ferns and saplings were beginning to cover the long-abandoned path. Beyond the grass was dense forest, the sort of wood that blocked much of the sunlight; not that there was sun right now. Everything was grey; grey and wet. Her cloak, one of the many layers of brown and black clothing she wore, was soaked at the brim, weighing her down. Jealousy rubbed water into her eyes with her thumb and finger and then blinked. When she opened again, she was in a different location. This always happened to her. She knew that her associate would be in good, albeit younger and stupider hands. She had left her body behind and it was now inhabited by a slightly different consciousness. The woman in Jealousy’s body snapped her head around to look at Illinois. “Oh, I’m still with you am I?” She spat the words, and then spat at the ground. “Oh no!” Illinois whined. “Not again!” Why did she have to get mad at him like this? He moaned on the mount, wriggling, but too lazy to get off and leave. Always too lazy to leave. But Jealousy knew what she was doing. She had written about what had happened here. She knew what to do. She walked the man and his dog until they arrived at an intersection, and then she turned her head to face the path that met theirs. It was built from right to left. She knew this, but the information seemed unimportant. Crystal saw the figures approaching, finally. This was what Illinois must have been complaining about, this alternate pair that came to them in the myst. She knew that she would not have a chance to actually speak the oncoming duo, but she knew this encounter well enough that she knew that it didn’t matter. She would know what happened here in great detail in coming years. “You would do well to stay quiet. You are not long for this…” She stopped and blinked, rubbing at her eyes again. Jealousy was taken back to her body. She hadn’t known that the other consciousness had been talking, so she didn’t finish its sentence. And to Illinois’s horror, Jealousy waved. One of the figures; the shorter, brighter one; waved back. Within a minute, the pair was close enough that their features were visible. The taller one was very tall. He had a black mess on his head that Illinois assumed was hair. His skin was tanned, and he wore a dark grey jumpsuit, made darker in the damp. The woman was much shorter, and also wore the grey suit, although her top half was tied off at the waist. Her undershirt shone bright in the mist. As she got closer, it was clear that there must be some relation between her and the woman. “A… A spectre! A ghastly white image!” Illinois cried. “Quiet. That’s my sister you idiot,” Jealousy whispered. The upturned nose and waved hair made it clear. But it was as Illinois had said, this woman had white-blonde hair, and altogether lighter features. The effect made her look like an apparition hovering out of the evaporate. “Oi! Who’s that then?” The woman shouted. “Hello Janna,” Jealousy said as her sister finally came into view. “We what?” The tall man said. “No no, she’s probably right. Never known Jealousy to be wrong.” Janna told him. “Well,” the man said, “What about that guy?” He pointed. “That’s Illinois, my fiancée. But not for very much longer.” Jealousy told them. “No, rather, dear, I’m finished with you. Goodbye.” And then she let go of the reins. The pale white dog stared at her, panting calmly. He glanced at Janna’s soaked form, her white shirt semi-transparent. Janna stared back at him. She winked, smiling deviously, falsely shivering a little in her semi-transparent top. “I hope that’s true,” Janna’s mouth opened, adding teeth to her smile. “Yeah man, piss off, right?” Janna took her undershirt off and whipped it at him. The cold, wet tanktop slapped Illinois in the neck, and then Crystal muttered something to the dog. The giant creature barked, alerting all manner of chaos in the woods around them, and lumbered back down the path, carrying the man off with it. “Well, no real loss. He took care of me when I had that illness. Did I tell you about that?” Jealousy spoke, and then blinked harder than was necessary. “You thing the beasts of the forest will eat him?” Mumbled the tall man. “I hope so. Is he gone yet?” Crystal said, suddenly angry. Janna was not confused by the sudden change in her sister’s countenance, but the man was. “Right. What was I saying?” Crystal snapped. She rubbed her eyes again. “Ah, did I explain about the illness just then?” Jealousy asked. Jealously promptly vomited to her right. “Okay good.” She coughed. They set up a camp at the crossroads. It seemed that Janna liked to carry a dry board in her rucksack for times like this, so starting a fire was easy. They sat around the flames. The light made Jealousy’s sickly features more apparent. The flames started to burn Janna’s bare skin. She pull her jumpsuit’s top half over her torso and zipped it closed. “Yeah, I know. You said you were going to help us?” Janna asked. Janna gave him an unfriendly look. I don’t write much about Crystal, although I have a story swimming about in my head for her. Truly, her narratives seem to prefer to be open-ended and chaotic and wet. She brings water and misery wherever she goes, and archetype of the chaotic feminine in some sense. Hope to see her again some time. P.S. 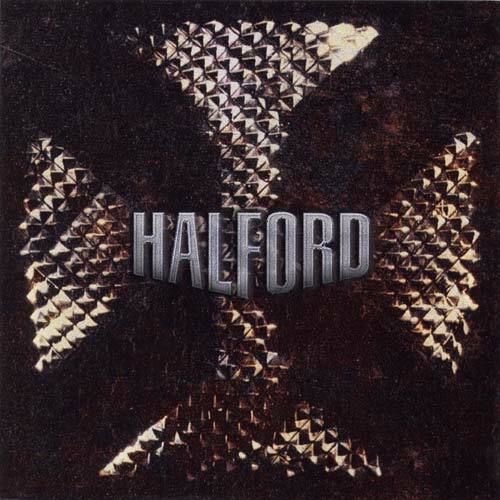 Check out Crystal by Halford, which of course was the inspiration for Crystal Jealousy Rhye. P.P.S. Anyone interested in knowing more about the timeline, read on. This story takes place in the time after The Solune Prince but before The Epic of Däwngale. Janna is still searching for Venus and Zealott, and Crystal Jealousy intends to use her “abilities” to aid the hunt. Not sure how it works out. Follow me and perhaps we can figure it out together in a few years. In order to make this post worthwhile, I’ve also put some commentary on the tail end of it, about my plans for later chapters of this story. So I asked my father about hunting again and he sighed, saying that Sandgrain (awful name, he added,) had a son who had just begun hunting, and that he might go mad with jealousy. Mother spat at the ground, and my father shrugged at her. Span is a story that sort of hit a dead end for me, and I don’t really know where it wants to go, even though I know exactly where I want to take it. Well, I didn’t know where until I started thinking about the location. Who else lives in the N’Tariel lands? Who might Talc encounter? Then I remembered—there was someone who lived in the forest. An older Jin, with her Elken features showing. Jin was born in the northern woods, and began exploring the south as she began to reach adolescence. I always thought that the first person she met was her soulmate Salt*, but perhaps that was too romantic, too unrealistic. Maybe the first person she met was Talc. Anyway, we’ll see where this goes, if it goes anywhere at all. Span is a series I’ve been considering simply leaving hanging, but it’s modestly successful, and I think I can figure out how to propel the plot forward to the places I care about—that is, her adulthood, and more specifically motherhood. Oh, and she also becomes a seer, due to her interest in the dead; divination by entrails. Perhaps more thought is required. We will see. I will state that Span is currently set up as the backburner story for The Solune Prince release (As Evidence was to Alice and Finch). Unless it gets replaced by something like Alexandre Jutt’s story, we should be seeing more of it in a semi-consistent manner. *I feel it obligatory to mention that soulmates are fictional. So, while I don’t believe it to be a real phenomenon, so to speak, I do believe that fiction works in fiction—Jin Sing only marries one person, and that person is Salt Resz. I pointed at the shape in the distance. It didn’t look like anything I had cleaned in the past. My father peered between the trees, and crossed his eyebrows. He drew his spear—he had only brought one that day. We watched it, and I thought it watched us. “We will continue,” my father said. He put his spear on his back and took one of the spools off of his shoulder. This is how he spoke when he was trying to teach. I looked at the spot. It was a small alley where two tree trunks crossed each other near their roots. Maybe I could have fit my fist in it. I looked around it, and confirmed that the brush was too tight everywhere else. I looked again, and then I saw it. Scratch marks in the ground, and claw marks in the wood. “I do not know, I did not see,” he said. We continued as if I had not seen anything. I set a few more snares. It was not hard to do. My father told me that I caught on faster than the boys did, I don’t know if that was true. But, he told me that later he would teach me how to set the other sort of trap. We reached the ridge around afterdawn. I was impressed by the sight. The cliff wasn’t too deep, likely someone could climb it if they were skilled. Although, I would guess that if someone went over, they would die twice over at least from the fall. At the base was a desert-like plain that stretched and expanded to the north. To the south was a stone wall, an artificial structure that still astounds me to this day. That is the Solune wall. I saw what he meant. The trees were thick, and they looked to be only leafed trees, not a mix like here. “Perhaps.” He must have thought hard about it here. It was his night to speak at the community fire, and he wasn’t sure if the Elken were a good topic. We ran out of snares at the same time that we finally caught up with the rest of our party. Shortly after, the other half of the men arrived. I looked around at the clearing we had all gathered in, and saw the circle of rocks, the mounds and logs. This was a campsite! “How was the woman, Errand?” Sandgrain called to my father. I looked at my father. It seemed that he was unsure whether that meant three days, or three sub-fragments of a day. My father, Sandgrain, and Sour (the hunting elder at that time) gathered apart from the group to discuss. I saw that Silver and Quick were bickering in front of the pit, and snapping each other with leftover snare line. Lime and most of the other boys and men were gathering wood. I figured I should be more useful than those who were sitting, so I went into the nearby brush to see what I could gather. There was not a lot of dead wood on the ground. I was unsure what to do, but you should know I have a capacity for cleverness! I looked around for a specific sort of tree, and started pulling at its branches. I finished, and brandished the stick. The boy sounded young, so I felt safe fooling around. He dropped all but the longest of his sticks and struck at mine. “You will never hit the target if you aim only at their weapon!” I said, swiping at his arm. The attack hit, and he followed up, hitting me in the ribs. I jabbed him in the chest, and he fell over. He looked up at me. I added, “My grandmother says, do not speak of your flaws unless you intend to fix them and do not speak of your virtues except through your action. Perhaps this boy was not so hopeless after all. For those who are interested in how the first draft became the final draft. This might be my least favourite of the three, but so it goes. She felt a numb pain in her forearm. She looked to her right. A branch jut out from the space between the two bones in her arm. Janna looked around. She was in a pit, a lush bright brown hole of moss, grass, and dirt. Dirt from where the roots of a tree had torn out the earth. It was long covered over now. Long enough that there was this younger tree. This tree whose branch had intruded on her arm’s wellbeing. She couldn’t take hold of her senses. She was in an uncanny world. In the distance, it seemed, a hazy figure moved with purpose. Then, it stopped. The voice touched her ears, but seemed to skip all the formalities that her nerves had put in place. It was a strange feeling. This person, who was notl her sister, was very easy to listen to. It was definitely a man, but her voice was deep, deeper even than Natasha’s, who spoke low due to the immense height of her trachea. Janna blinked and tried to focus, but nothing worked. Janna was becoming irritated with this glowing man. He stood over her, outlined in blue. Through her wavering eyes, she could see wisps, lines of light coming from him. “You can leave now,” she said. She looked at her arm. It was mostly red. The Servant of Tendrils shrugged, and ceased. Janna closed her eyes. What a stupid death vision to have. You’d expect to at least see the Servant of Death. Janna felt a pinch as Chloe’s arms moved over her wound. She said nothing. Janna gave a shallow nod. Janna felt the pinch get a lot tighter. Then she felt the branch move as they hacked away at it. She almost vomited when they pulled it out. The sensation oppressed her head, and she again lost consciousness. It was dark for a long time, and then she saw blue. Janna recognised her brother’s voice. “And also, what did you do to Natasha?” He asked. Again, this is the second draft of “Wavering.” I don’t really like it, but luckily there’s a third draft that I do like.